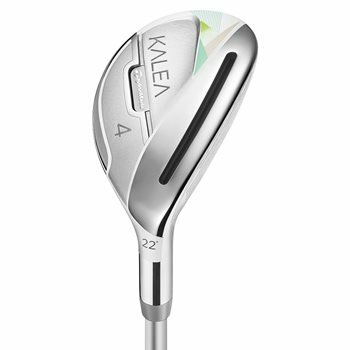 The TaylorMade Kalea Ultralite Rescue hybrid has been specially engineered with lighter weight to improve distance and launch. The Ultralite shaft works with Speed Pocket Technology to increase launch and ball speed for more carry with maximum distance. The low, deep center of gravity makes it easier to get the ball in the air while the stylish design gives you confidence at address.